Any major change regarding the below guidelines that impacts the merchant operating model will be communicated via Email to merchants. Merchants are required to keep the registered email up to date in their profile (My Profile >> Email Address). FARMYUMM has set up a clear and transparent commission structure, based on the category of products FARMYUMM is interested in. You'll find appropriate commission relating to your products when you are uploading all the products. The merchant is responsible for creating products on FARMYUMM as well as uploading pictures and content that meet FARMYUMM’s expectations. FARMYUMM staff will review and quality check each product to ensure they are compliant with FARMYUMM’s expectations. A product will not go live unless it meets all requirements. You can upload ONLY 1 image for each product in JPEG, PNG and GIF formats. First product Image will be the main image of your product on your storefront. Image size should always be at least 500 x 500 pixels. 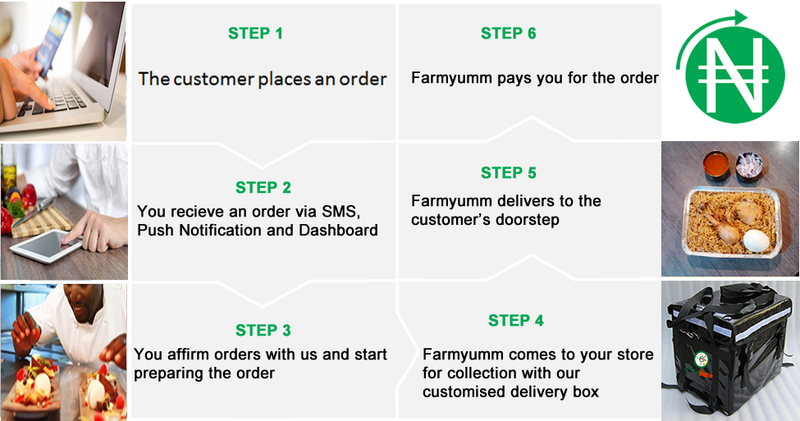 All cancellation of order from Merchant should be informed an hour (1 hr) before Farmyumm's collection. The merchant commits to processing (i.e. accepting orders via push notification on web or SMS) every order within 8 AM – 2 PM daily once it hits the merchant dashboard, as we don't send orders to maerchants anymore once it's past 2 PM. Any order that comes after that will be carried out the following day. The Merchant will commit into allowing Farmyumm to deliver all products once there is an order. Farmyumm will conduct tests and audits of the packaging practices of each merchant and may refuse to take an order for which the packaging is not matching the Packaging Guidelines. If the products packaged by the merchant are not following the guidelines, item can’t be re-packaged in that case Farmyumm will insist the Merchant re-package the products or decline to take more orders from the merchant. Merchants are responsible for providing adequate packaging for their products. Adequate packaging will protect the item during the entire delivery. All merchant will receive weekly payments for all items collected. Every merchant on Farmyumm will be allocated one business day during the week, and that is Monday for all payments. It means all merchants will be paid every Monday, irrespective of when you join the platform. Farmyumm has set high operational expectations for all merchants joining on the platform. Cancelled items: All orders cancelled before an item is collected due to merchant’s error will be considered out of stock and will be charged a Fee 500 Naira. Returns & Rejections: All items returned by the customer due to a merchant-related issue, such as incomplete item, defective product, or missing item, will be charged a fee of 500 Naira. We ensured that all the Products offered to our customers are always healthy and certified. Farmyumm has ZERO tolerance for the sale of unhealthy products, including any products that have been illegally replicated, reproduced, or manufactured. 100,000 Naira fine on first occurrence of detection of a listed replica or fake. 100,000 Naira fine on second occurrence of detection of a listed replica or fake. On the third occurrence, the vendor will be delisted and barred indefinitely from the platform.